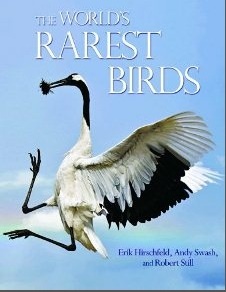 The World’s Rarest Birds by Erik Hirschfeld, Andy Swash, and Robert Still; published by Princeton University Press (April 2013). The World’s Rarest Birds began as an international photo competition held by BirdLife International, to assemble a collection of photographs and to document birds around the globe listed as Endangered, Critically Endangered, Extinct in the Wild, and Data Deficient on the International Union for Conservation of Nature (IUCN) Red List. 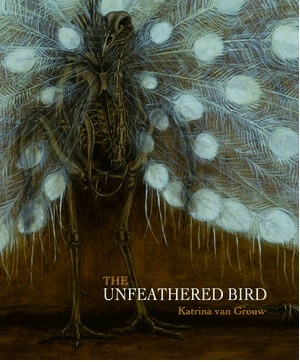 The World’s Rarest Birds is a wonderful book, though it’s unfortunate we live in a world where such a book is necessary. Princeton University Press recently released the title as an eBook on iTunes, and I’m delighted to be reviewing it after receiving a copy from Drew at Nemesis Bird. Thank you to Drew for the code, and a reminder that the following opinions are my own. 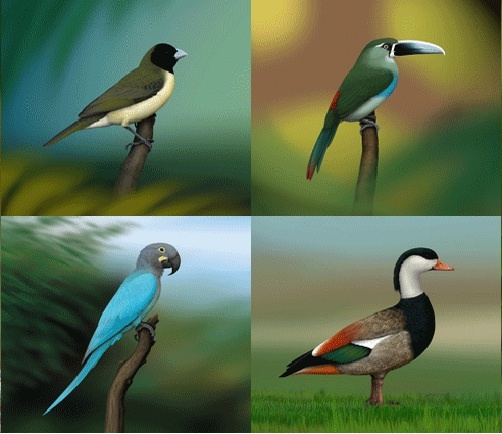 There are 590 bird species in the world classified as Endangered or Critically Endangered by BirdLife International. This book features beautiful photographs of 515 of them and is the first time images of certain species have been published. For the 75 remaining species, which are either extinct or no photos are known to exist, artist Tomasz Cofta has created very helpful illustrations. 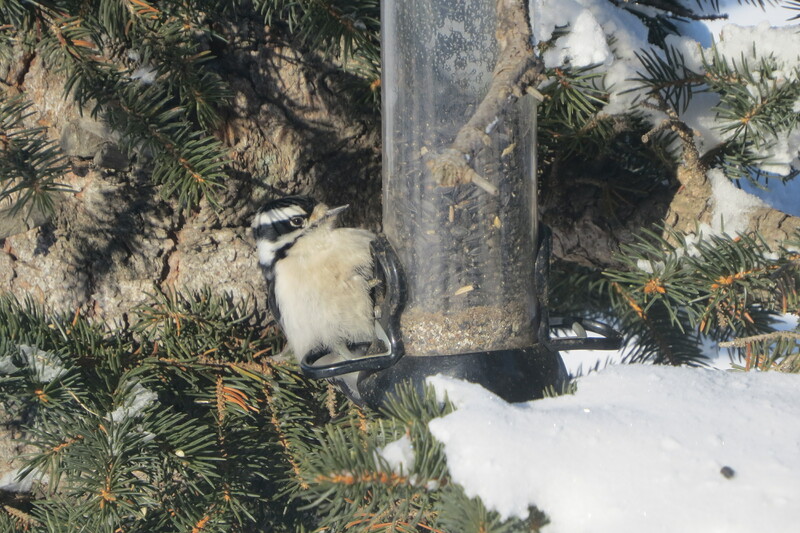 The beginning chapters assess the threats facing birds, from hunting, climate change, and agriculture, to geological events. Each threat is summarised globally with examples of species particularly affected by that particular threat. 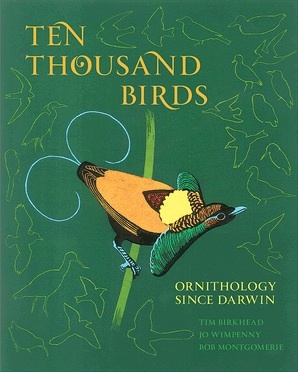 Additional chapters are devoted to extinct species, globally threatened bird families, and to data deficient species. Many species around the world face multiple major threats to their populations and we can only hope that with more awareness and some human help, bird species can rebound so they don’t fade into history. The body of the book is the species accounts. This part is divided into seven regional sections: Europe & the Middle East, Africa & Madagascar, Asia, Australasia, Oceanic Islands, the Caribbean, North & Central America, and South America. 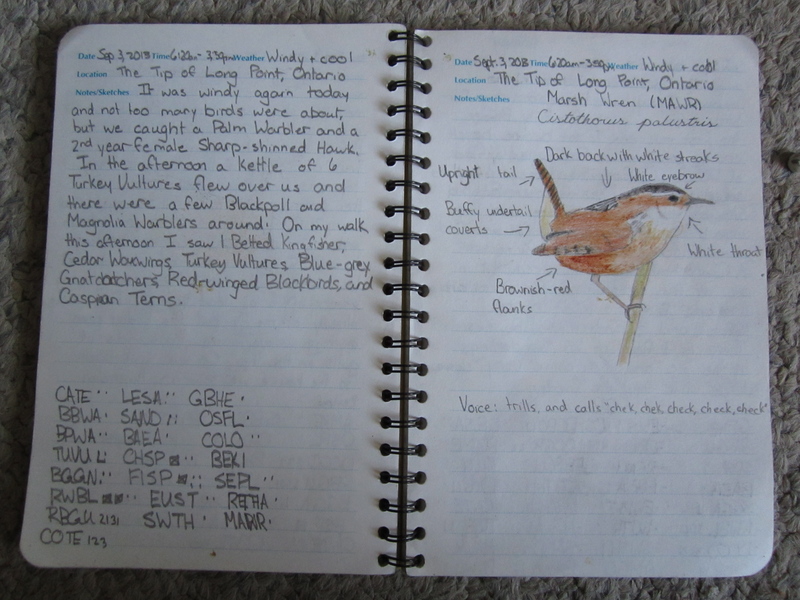 Each regional section highlights main conservation challenges and threatened bird hotspots, followed by an illustrated directory of the most threatened or endangered birds in the region. 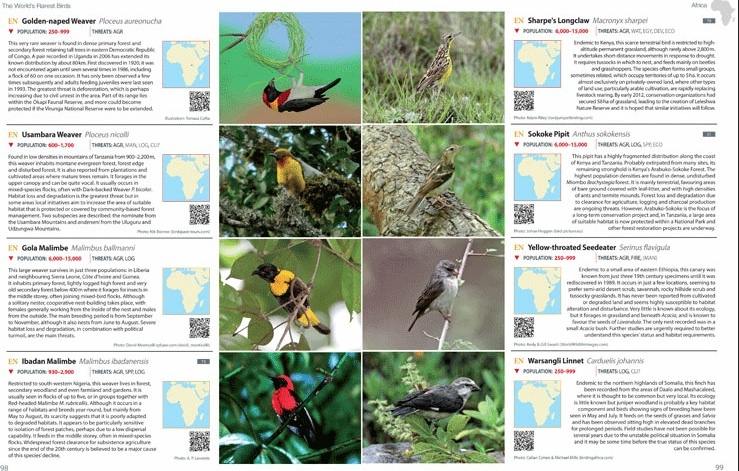 Each species description includes a photograph or illustration, the IUCN Red List category, population size and trends, the key threats, a distribution map, and a QR code (quick response bar code) with a direct link to the factsheet of the species on the Birdlife International website. 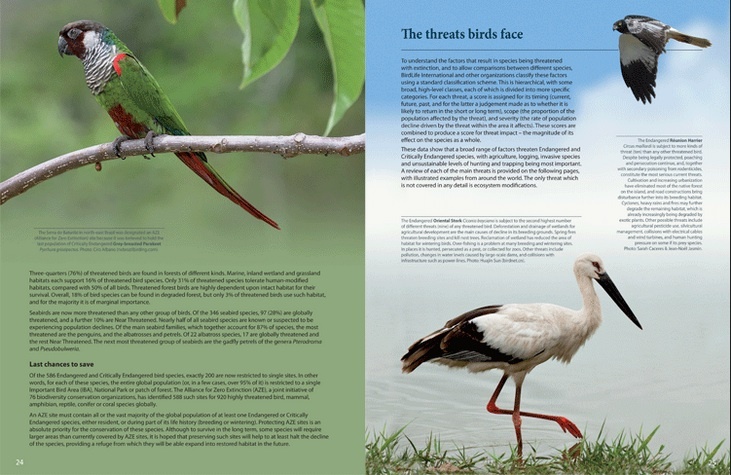 This may look like a coffee table book, but it is a comprehensive catalogue of endangered bird life around the world, and an important tool in creating awareness about the threats facing bird species. The eBook format also makes it very useful for travellers and twitchers, since the print version is quite large and heavy. For anyone interested in bird conservation, The World’s Rarest Birds is a must have. It’s incredibly well-designed, with well-written and informative text, and all the photos bring each species to life. This book deserves a special place on the shelf or, in this case, iDevice, whether you’re a birder, a naturalist, or conservationist. :: Birds & Blooms magazine is holding a contest to win a trip to The Biggest Week in American Birding in May. Go to the website to find out how you can enter the contest. :: Scientists have attached a GPS tracking device to a Great Indian Bustard to help learn more about the critically endangered species. :: From Julie Zickefoose’s blog: Duck Duck Goose… Swan! The virus that caused the infamous 1918 Spanish influenza pandemic likely sprang from North American wild birds and domestic birds, according to a study by Michael Worobey, an ecologist and evolutionary biologist at the University of Arizona in Tucson. The giant $2.2 billion Ivanpah Solar Electric Generating Station which officially opened last week in the California desert is the first of its kind, but, according to The Wall Street Journal, might be among the last, in part because of growing evidence that the technology it uses is killing birds. The government of Albania on January 30th enacted a two-year hunting ban of animals and birds in the country, which lies along a major migratory flyway. :: A Laysan Albatross named Wisdom is the oldest bird on record in the United States at about 63 years old, and has hatched another healthy-looking chick.